Cameras always were pulled out to snap Elephants, Lions, leopards, Buffaloes, and Rhinos -the big five on each African safari but of recent the Gorilla is topping the bucket list. Mountain Gorillas are the only great apes facing population increase and survive in their natural habitat. Being so, the surest and only way of seeing the Mountain Gorilla is by undertaking a Gorilla trekking safari. Mountain Gorillas can only be found in Rwanda’s Volcanoes National Park, Uganda’s Bwindi Impenetrable National Park and Mgahinga Gorilla National Park. In Congo, mountain gorillas are found in Virunga National Park. One would wonder whether its only a single hour for Rwanda with any other option, the answer is yes! 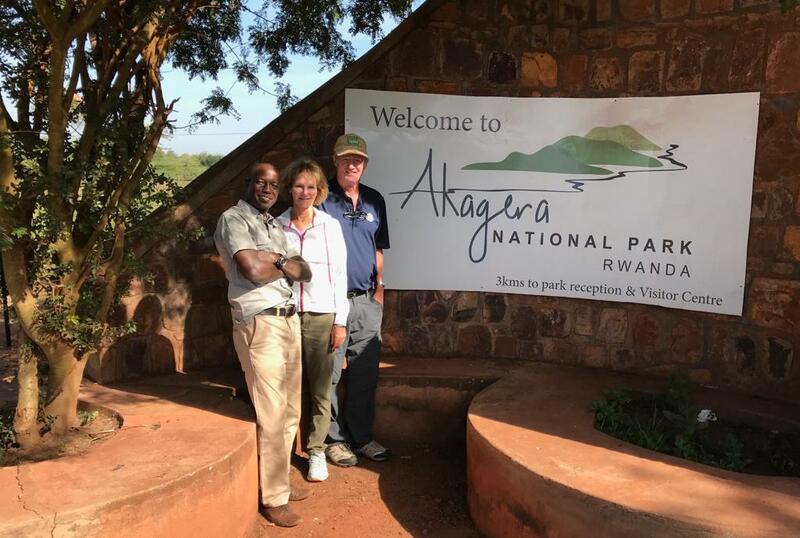 Unfortunately, unlike the chance Uganda gorilla safari tourists have to go for gorilla habituation, all of Rwanda’s gorillas have been habituated and therefore you can only go for trekking/tracking. 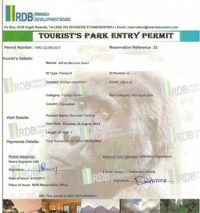 Before the actual gorilla trekking safari in Rwanda, you need to purchase a permit is as early as 18 months in advance. 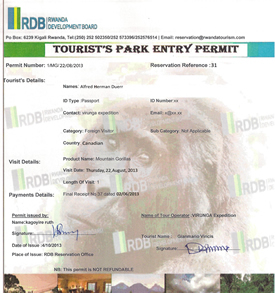 Gorilla trekking permits in Rwanda cost $1500 per person per trek. 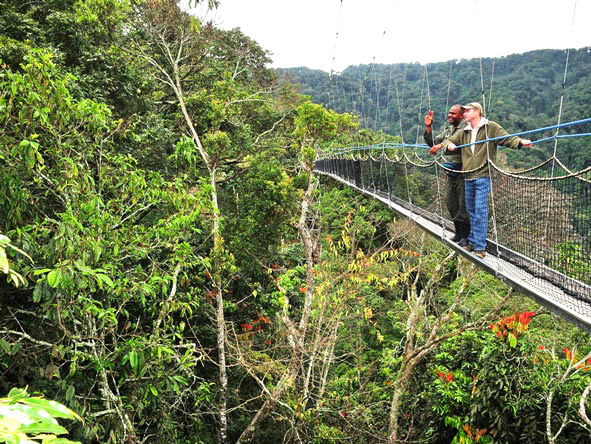 A Rwanda safari tour operator can help with the booking. A maximum of eight tourists can visit each gorilla family per day for a maximum of one (1) hour. This is done to minimize behavioral disturbances among the gorillas and reduce on their habitat destruction. There’s need for physical fitness to hike since the gorillas live in high altitudes of up to 1,500m-4000m above sea level, muddy and thick forested terrain. This height may cause difficulties for some visitors; however, you can pace yourself and drink plenty of water. Walking sticks are provided for each tourist. Tourists with heart and back problems are advised to see their doctors for recommendation of the activity. Wear appropriate clothing which include long warm sleeves because of the low temperatures, hiking shoes, a hut, hand gloves and insect repellent. During briefing, a gorilla family is allocated to each tourist. Trekking difficulty for each trek is impossible to state in advance, just be daring and fit. When being allocated a group to trek, try to choose a suitable trek. Do not touch any gorilla. They are still wild animals and should better be treated as so. 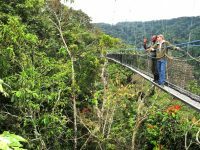 Don’t miss the amazing experience, its not just about seeing the gorilla but the experience in the jungle with your new friends is an experience you can’t afford to miss.